Jonathan Demme was a director who could add nearly-subliminal flourishes to his movies like that, moments that visually warn us of what’s to come, without ever drawing attention to it in a way that reads like, “Aren’t I so clever?” It was simply the best way to tell the story, and he did it. In some strange way, whether we’re talking about his most successful film, The Silence of the Lambs, or something as offbeat and good-natured as Something Wild, a lot of his themes are intact. He makes movies that are about people. Even in his remake of The Manchurian Candidate, the main focus of the film isn’t on the devious plot to brainwash a presidential hopeful, it’s about how the dark conspiracy effects everyone involved. Jonathan Demme’s concert film, Stop Making Sense, is one of the best of the genre and, to me, one of the only ones I can even watch. It wisely understands that watching a movie about a band—even one as good as the Talking Heads—playing on stage is boring and livens things up by introducing some structure to the musical numbers. It builds to a climax and everything. He was one of those directors to emerge under the hand of Roger Corman, like Martin Scorsese and Francis Ford Coppola, moving from projects like Caged Heat and Crazy Mama (which were actually quite good, all things considered; Crazy Mama is also Bill Paxton’s film debut—the more you know! ), and was able to graduate into the mainstream with ease, moving onto a successful, sweet movie Melvin and Howard. Following the success of The Silence of the Lambs, Demme could have done anything, but he refused to take a fun, vanity project. He, instead, directed Philadelphia, moving Tom Hanks into “serious” territory, earning the actor deserved accolades, and marking the first theatrical release from the Hollywood system to deal with AIDS. 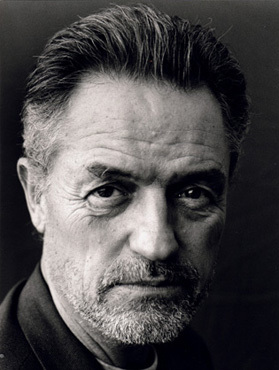 Jonathan Demme passed away today. His films have always been thoughtful, whether he was trying to make his audience laugh or whether he was trying to scare the hell out of them (sometimes both). He was one of the best directors of any era. He’s going to be missed.